We've set up this kit to make it as easy as possible for our customers to install 8 feet of premium quality UltraBright™ High CRI Series LED strips with a Lutron© Wall Dimmer. This kit has everything you'll need to successfully complete your dimmable strip light project right out of the box. 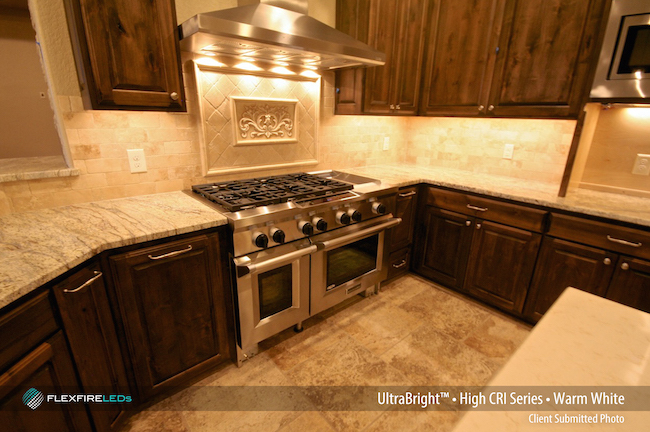 Our UltraBright™ High CRI series lights are most popular with photographers, videographers as well as designers, architects, and home owners who want superior color rendering in their lighting installations. Product UltraBright™ High CRI Series LED strip light kit with Lutron© Wall Dimmer - 8 ft.